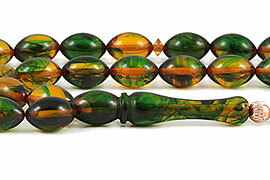 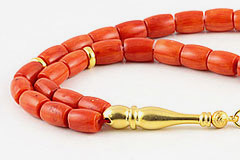 Prayer beads or worry beads are used by various cultures such as Anatolian, Ottoman, Turkish, Greek, Middle East, African, Indian and Asian to count the repetitions of prayers, for repetition of the same devotion a number of times, for meditation, protection from negative energy and to relieve stress. 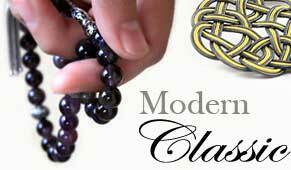 Using Prayer Beads as a tool of meditation is as old as human history. 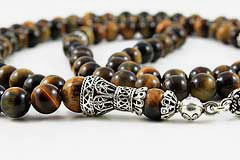 It is not a coincidence that Prayer Beads are present in almost every culture. 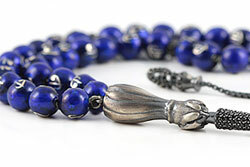 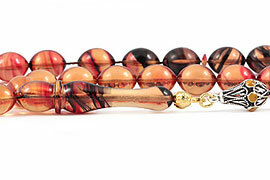 Prayer beads have metaphysical and psychological affects on their users. 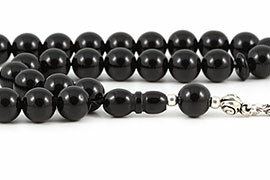 The beads absorb the negative energies. 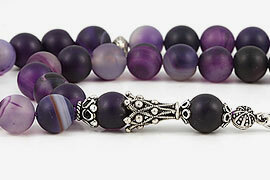 Prayer beads are full of positive energy and bring you to life. 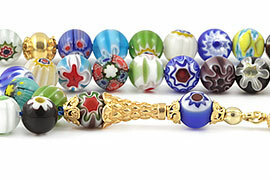 Semi precious stones have attracted people with their colors and charming gloss since ancient times. 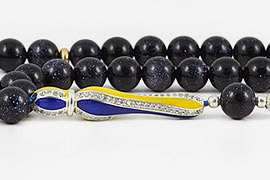 Since then, each gemstone has a special meaning. 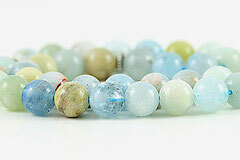 For instance; Red Indians believed that the bones of the people wearing Turquoise wouldn’t be broken and they used to engrave this stone onto their shields during war. 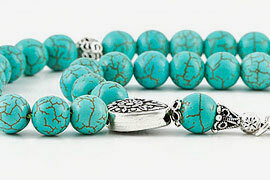 It is also known that Turquoise was also very important for Aztec culture. 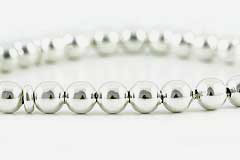 They used this stone to prevent from negative effects. 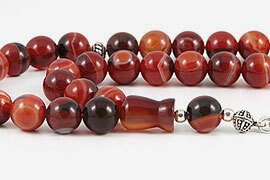 Again in Red Indians’ culture, it was believed that the Agate was good to quench thirst and used for this purpose. 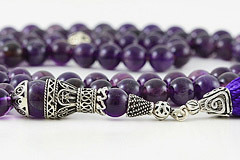 In ancient Greek culture, it was believed that Amethyst would prevent people from becoming drunk and the goblets were made of this stone. 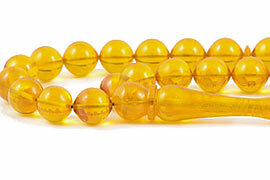 Japa mala are used for meditation. 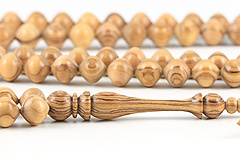 In Greece and Anatolia; tasbih prayer beads (misbaha, tesbih), komboloi(Greek κομπολόι), begleri or Greek worry beads are used to relieve stress and relaxation. 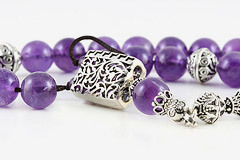 As an online store with the best selection of prayer beads; Prayerbeadstore.com offers handmade prayer beads, worry beads, meditation malas and bracelets that are produced diligently from authentic gemstones, silver and wood materials. 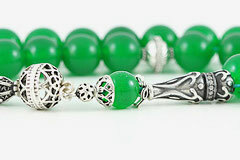 Misbaha or tasbih prayer beads are most commonly made of various gemstones, silver, wooden beads etc. 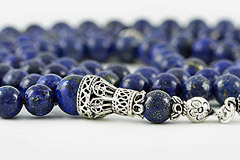 Some of the most known gemstone types are; carnelian agate, amber, amethyst, onyx, turquoise, pearl, coral, jade, lapis lazuli, howlite, tiger's eye, jasper, quartz, chalcedony etc. 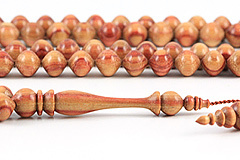 Wooden beads are made of; walnut, ebony tree, rosewood, wenge tree, guayacan tree, olive tree, etc. 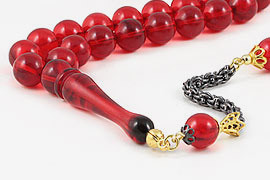 Using prayer beads releases the stress that is a result of daily problems, concerns and apprehensions. 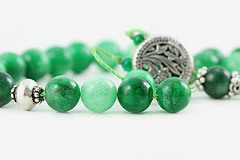 It is effective for relaxation of human mind and used for meditation purposes. 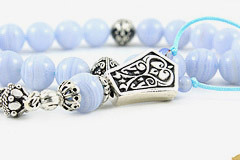 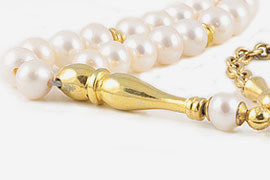 You can discover the special prayer beads with "Prayerbeadstore.com".